An irresistible, not-be-missed tour that will allow you to come into contact with people who still embody the genuine traits of the Florentine character: a combination of fantasy, genius, intuition and originality. Our English speaking professional Guide will take you to the Medici Chapels complex. First of all you will enter the Buontalenti Crypt, under the Princes Chapel, where the Medici and their family members are buried. Their bodies have been recently exhumed to obtain more details on their lifestyles, illnesses and on the real causes of their deaths, many of which are still shrouded in mystery. You will also be able to admire the walls covered with semi-precious stones and marble panels in the great Princes Chapel, for which the Opificio delle pietre Dure (The factory of semi-precious stones) was created, so that this enormous decorative task could be carried out. Today, it is one of the most prestigious restoration workshops and museums in the world. One then proceeds into the New Vestry of San Lorenzo, designed by Michelangelo, to see one of his most famous sculptural groups: the allegorical figures of Dawn, Dusk, Day and Night, the statues of two Medici dukes and a Madonna and Child. An interesting guided visit to the Medici Chapels complex where you can admire one of the most famous sculptural cycles by Michelangelo. Admire the Princes Chapel where the Medici and their family members are buried and Michelangelo’s beautiful statues in the New Vestry of San Lorenzo. 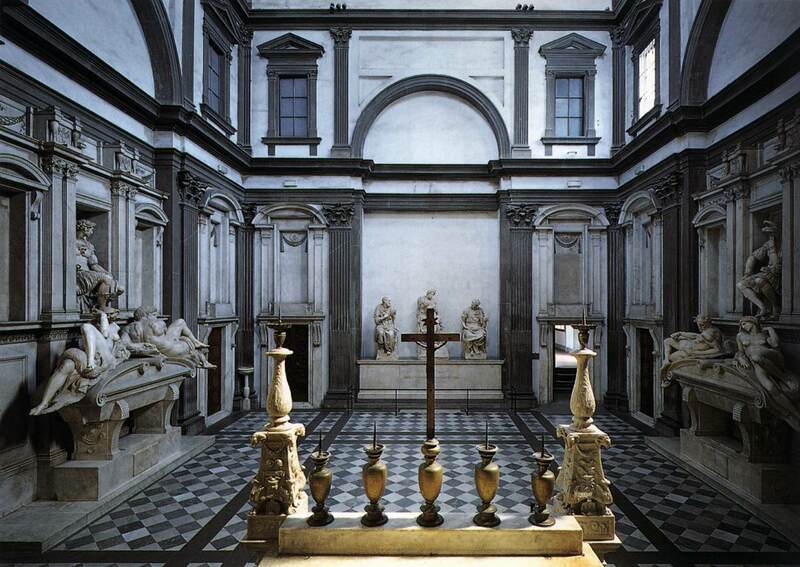 To further enhance your cultural experience in Florence, don’t miss the visit the Medici Chapels museum. What’s included: Professional guide, museum entrance fees with bookings – earphones are provided for groups of over 15 participants inside the museum.